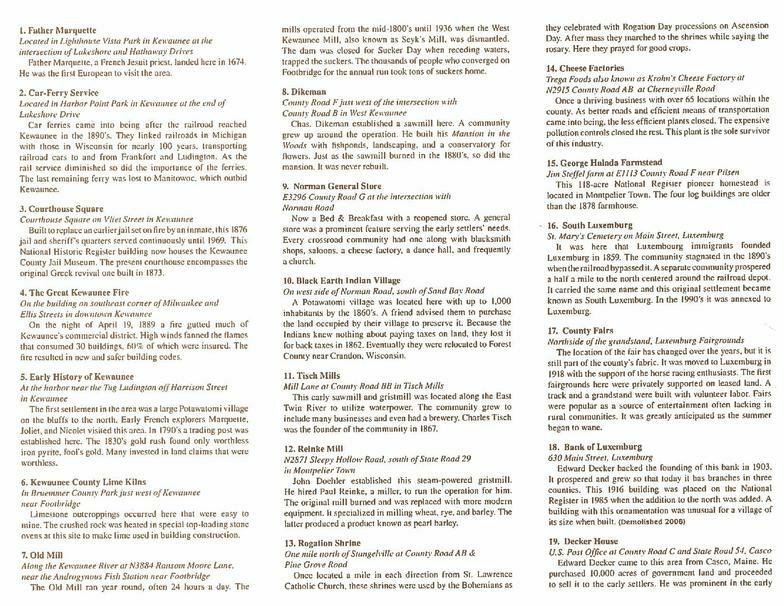 Download map and signs by number by clicking on brochure! 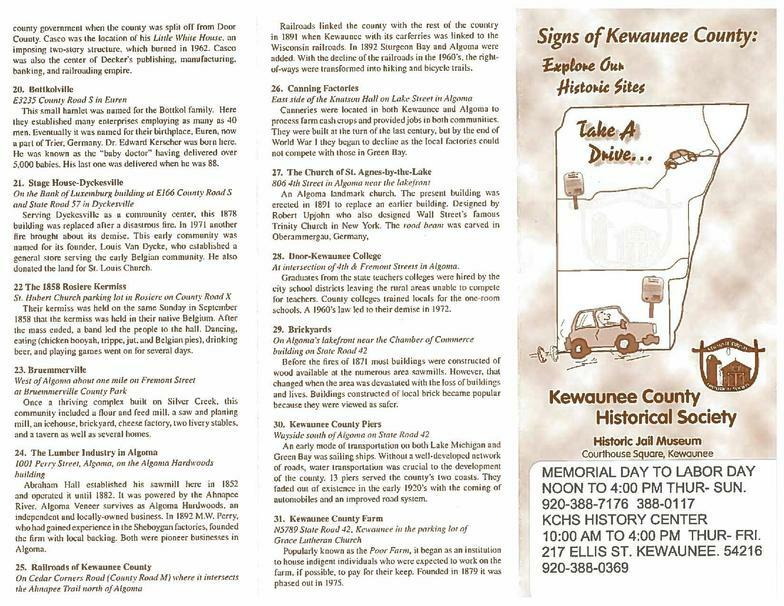 Stop on by the Kewaunee County Historical Society and pick up a brochure! 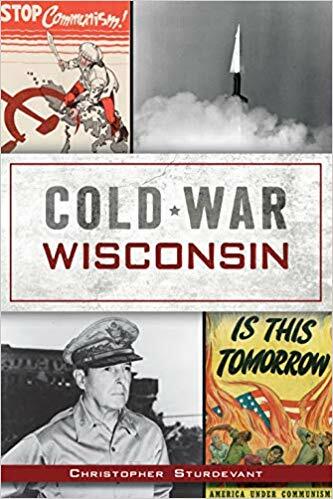 Charles Dikeman was a lumberman of Saginaw, Michigan and came to Kewaunee County in the employment of Daniel Slauson and Issac Taylor. 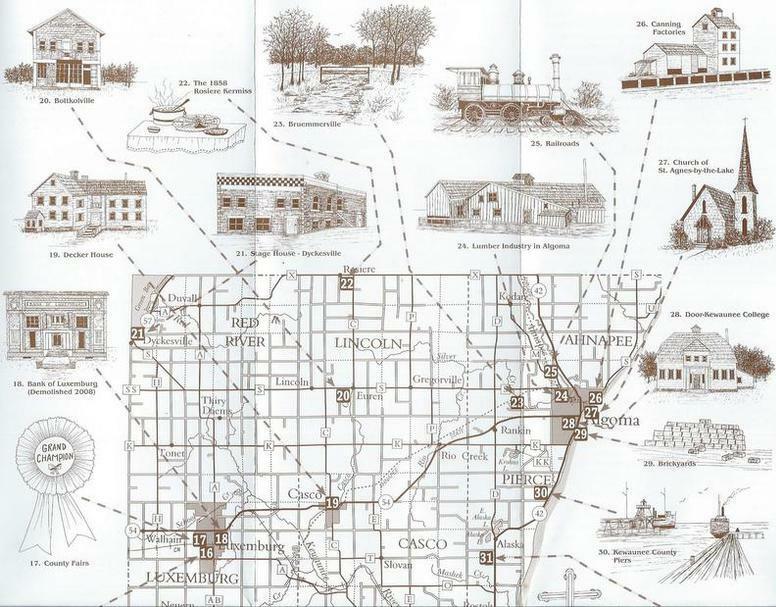 In 1863, he purchased 4,200 acres of forest land in the Town of Coryville, which later became West Kewaunee. He ran his lumbering business until 1886, when illness forced him to retire. 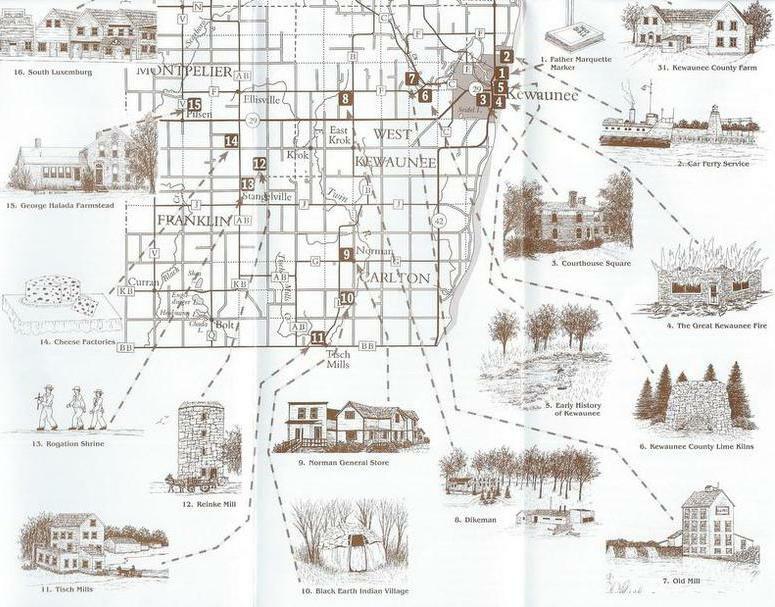 The Dikeman village pictured in the print consisted of about 30 buildings, including a steam powered lumber and shingle mill, store, and dwellings for 15 families, plus the sleeping quarters and cookhouse for the unmarried workers. 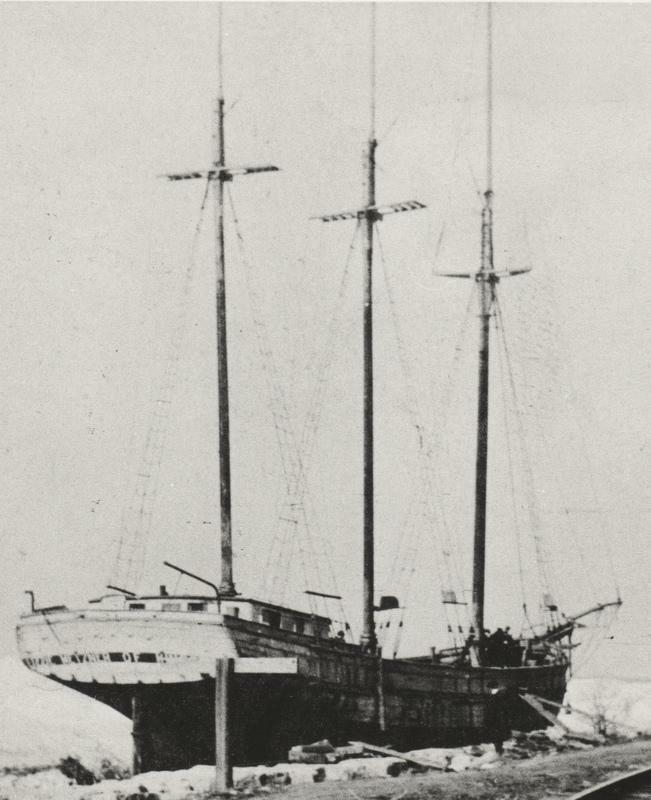 The village boasted on saloon privately owned and operated by an individual by the name of Breszinsky at the east end of the village. The store carried a general stock of goods required both by himself and family as well as his employees. 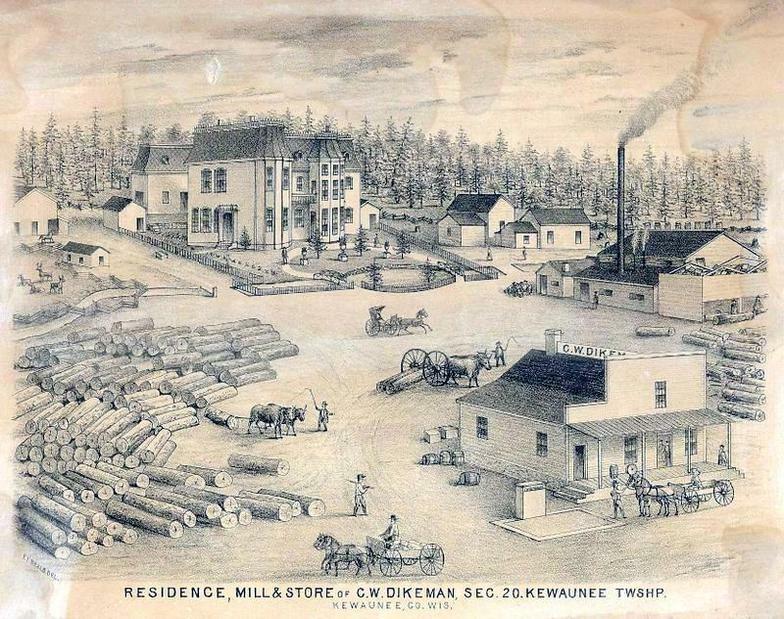 The population of the village was about 80 people of whom 30 to 40 were employed about the mill, store and surroundings. In 1878, Charles Dikeman erected a palatial mansion of architectural grandeur surrounded by artificial spring fed fish ponds, deer enclosures, nicely laid out grounds with bridges and graveled walks with a conservatory supplying choice flowers at all seasons of the year. It was a grand sight, much the representation of a castle of the middle ages. He built the home with his own hands and material and furnished it with many conveniences unheard of so far distant from a large city. For many years it was the show-place of the county and was famous for many festivities and social gatherings. 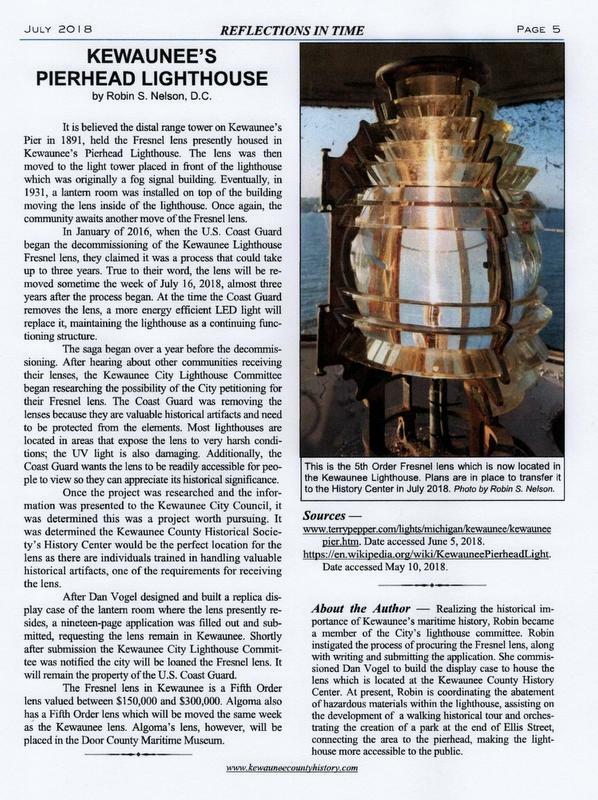 Plans are still in place to transfer the lens from the Kewaunee Lighthouse to the KCHS History Center at 217 Ellis Street. The exact date of arrival is still to be determined by government officials. 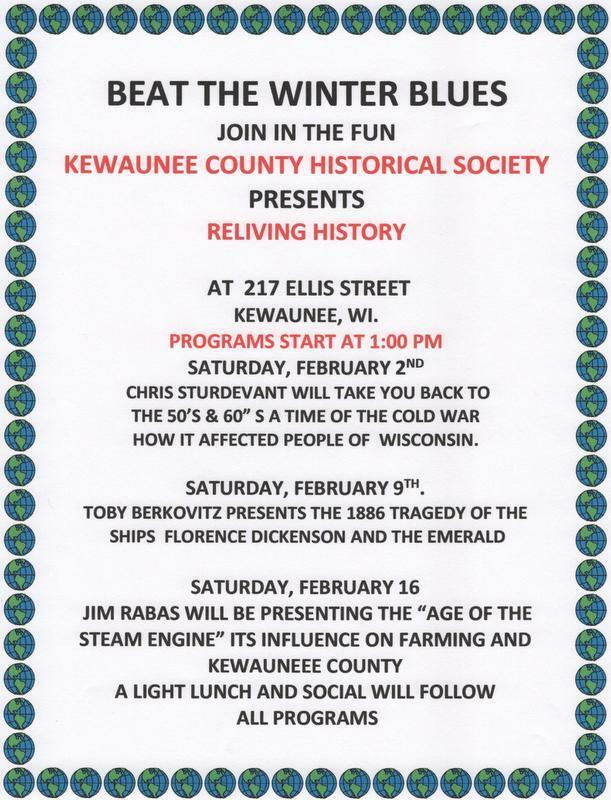 Notice for the Annual Meeting of the Kewaunee County Historical Society. 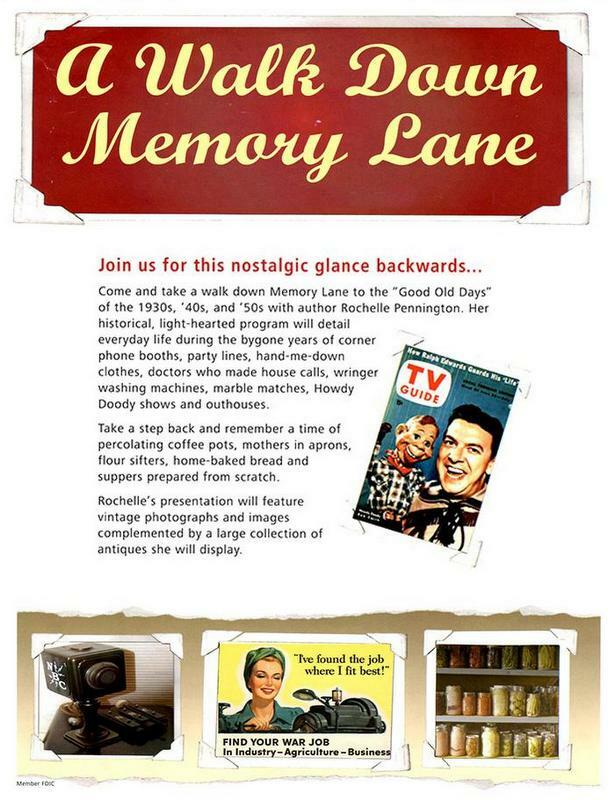 On May 4th, 2019 Rochelle Pennington will give a presentation entitled "Memory Lane." 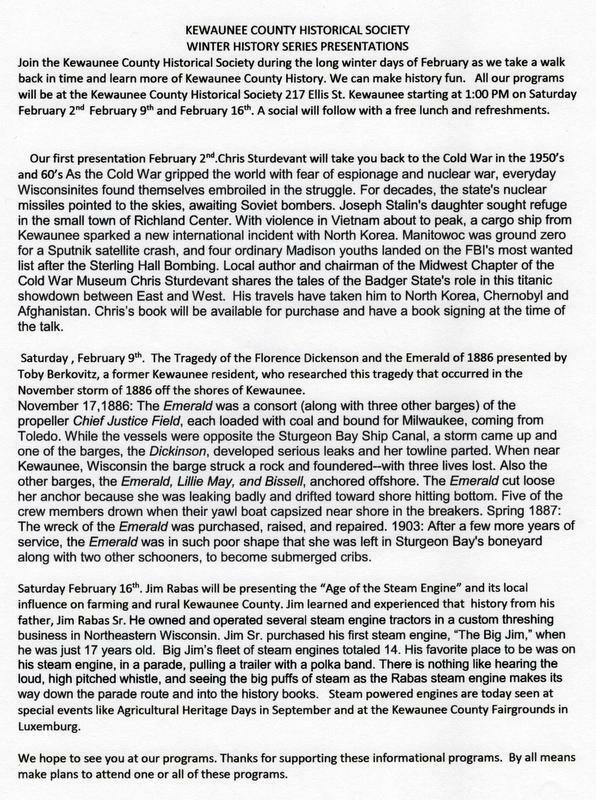 The presentation will begin after a short business meeting for the Historical Society.